The City of Elk Grove is in the process of greenlighting a major recreational vehicle dealership that will sit along East Stockton Boulevard near Elk Grove Regional Park. 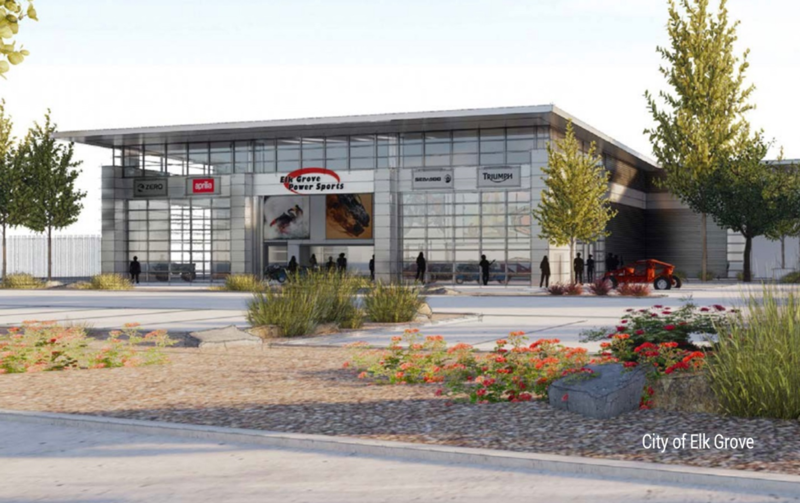 The proposed dealership, Elk Grove Power Sports, will feature 29,000 square feet of retail space for motorcycle and recreational vehicles, including scooters, all-terrain vehicles, personal watercrafts and snowmobiles. In May, the city’s Planning Commission approved a tentative parcel plan for the new business, which is situated along nearly four acres of land alongside Highway 99. Elk Grove Power Sports will be located at 10299 East Stockton Boulevard near Kelly-Moore Paint, the Boot Barn, and Lifepointe Church. The company currently has a location at 10491 East Stockton Blvd. The Elk Grove Planning Commission held a public hearing on the matter on November 1, at 6:00 p.m. Residents were welcome to comment on the permit for sales and the design review. No further environmental review was needed for the project. Staff recommended that the resolution for the project, which includes the permit for sales and the design plans, be approved.